Posted on March 6, 2019 by Editor Posted in Home Decor	. When it’s time to ditch your old bed and find a new replacement for your bed, you’ll quickly find that doing so is not easy task. Mattresses are expensive, so don’t skimp out on them! Going with the cheapest option you find might just be something that will disappoint you once your bed starts sagging and no longer supports your weight. While quality mattresses aren’t exactly cheap, they don’t have to be too expensive either. Aside from finding the right size for your bed, you want to consider the brand as and give it an actual test by lying down on it if possible. 2. Factor in your weight and sleeping position. Weight has more to do with choosing a mattress than you think: support, feel, and the mattress’s cooling all depends on how heavy you are. •	Light (less than 68 kilograms) – If you belong in this weight category, it’s best to get a bed with medium firmness to make sure it doesn’t sink too much. •	Average (68-90 kilograms) – Most beds are made for the average sleeper, so you can choose the industry standard of medium firmness to give you the best support and comfort. •	Heavy (90+ kilograms) – Firmer beds help to provide better support, and heavier spring beds allow for better cooling. •	Side-sleepers experience a lot of discomfort and pain on their hip joints and their shoulders, so a medium soft bed allows for the equal distribution of pressure. •	Stomach sleepers need equal weight distribution to keep the spine from curving. Medium firm beds are a great choice here. •	Back sleepers benefit best from medium firm beds provide the best amount of support and contouring for the spine, and allow for proper support and structure. 3. Choose the right type and material. •	Inner-spring – Springs are one of the most affordable options out there and are extremely durable. They also allow for greater air circulation. •	Latex – Great cooling and comfort, with a good bounce, responsiveness, and without any off-gassing and odors. 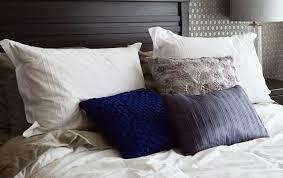 •	Memory foam – Memory foam conforms to every inch of the body, but tends to retain heat. •	Hybrid – A combination of the three types, providing all-around support, bounce, and cooling, but easily the most expensive. Posted on July 30, 2018 by Editor Posted in Home Decor	. The phrase “everything but the kitchen sink” is often used to taking every conceivable item except the actual sink itself. But while the kitchen itself is the heart of the home, most of the daily chores (i.e. preparing and cooking food, washing the plates) is possible because of the sink. This is the most popular choice used in both household kitchens and professional restaurants alike, as most brands can be inexpensive and easily replaceable. However, you should keep in mind that the gauge actually doesn’t matter and has little to do with its performance. Sinks with sound-absorbing pads are much quieter than those with a spray-coating. Enamel comes in two different types: enamel on cast iron, and enamel on steel. Both types come in different colors and are much easier to clean than steel sinks. Their disadvantage comes with being more likely to chip from heavy and/or sharp objects, such as steel pots and knives. Damaged enamel can cause the metal beneath it to rust. Acrylic sinks look like enamel at first glance, they can scratch more easily and melt under high temperatures. 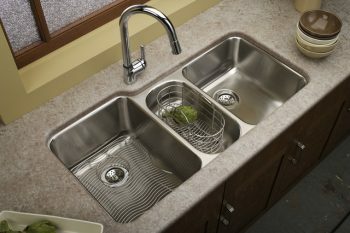 A solid-surface kitchen sink can have integrated materials such to provide a seamless effect and a smooth finish, but that comes at the cost of melting under high heat. 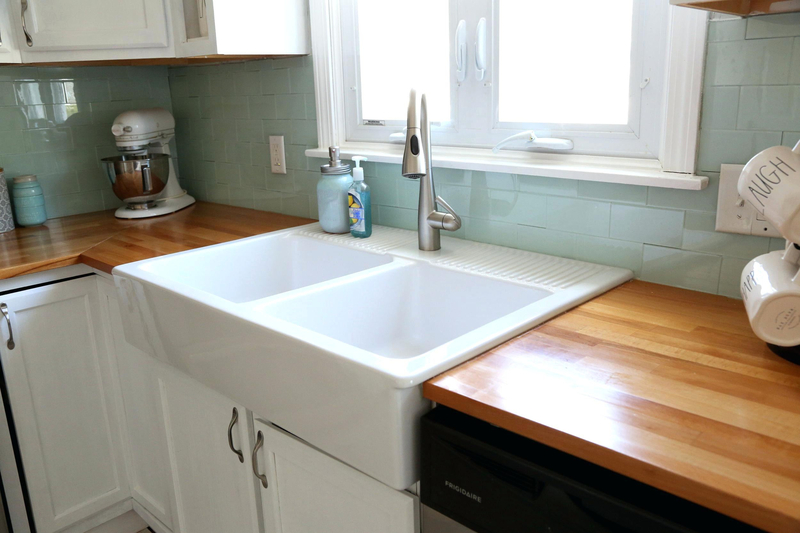 Fireclay sinks can withstand high heat, stains, and even scouring, but may chip or break under heavy weights. 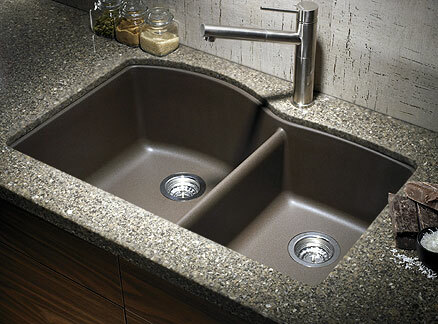 •	Double-bowl – These sinks have two sections, which is where they get their name from. They mostly come in rectangular shapes, but can come in D-shapes with a curved back. The good thing about double-bowls is that they let you multi-task. •	Farmhouse – Also called “apron front”, these sinks have a single, deep bowl with a faucet installed in either the countertop or on the kitchen wall. While stylish, they are expensive, and the dripping water can damage the cabinet underneath. •	Topmount – Topmounts are relatively simple to install and work well with almost any countertop material, making them a good go-to if you’re working on a tight budget. •	Undermount – Undermount sinks are called such because they are raised from beneath the counter instead of being lowered onto them. They provide a sleeker finish and tend to be easier to clean. •	Trough – Troughs are best used as bar sinks, as they tend to be narrow and long, and are often used for their aesthetic instead of functionality. Posted on October 6, 2016 by Editor Posted in Home Decor	. Furniture shopping usually feels interesting until you finally check out the options. Whether you search online or make an actual visit, there’s simply too much to select from. Home furniture are offered in several styles and types. You must ask yourself what you like and require so you can limit your options appropriately. It helps talking to professionals and asking for suggestions about which home furniture matches your taste. If you need a modern, clean, and sleek style, you might like to look into purchasing high gloss furniture. 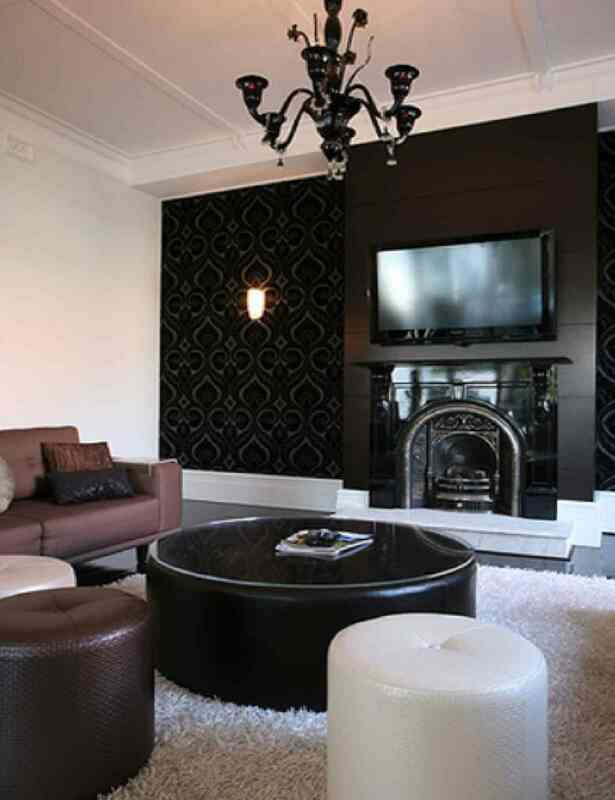 High gloss makes a perfect alternative for furniture due to its classy coating. One can utilize it in any section in your home – from your room, living area, to the dining room. It is easy to recognize a shiny house furniture is the moment you glance at the available options available in the market. It has a glossy, sleek, and polished exterior. It’s also highly reflective. If you’re opting for a simple or modern style, then you must be on the search for this kind of furniture. One advantage of going for glossy house furniture is its charm. It’s possible for this design to be noticeable in a home or make the entire home look more appealing to the eyes. A white gloss TV unit, as an example, is a good add-on to your living area. It allows you to conceal any cabling and cords that normally would be laying on the ground, creating a disorderly appearance. You also get to enjoy more storage space for other display items. Furthermore, the white gloss TV unit is also simple to decorate as a focus in your living room as it is very adaptable. You can consider to use various accessories – from metallic displays to garments – in decorating the space. One other thing about glossy furniture is its ability to make a space feel more airy. It is not always easy to put objects to your house whenever you think the available space is not enough. One option is to organize your furniture so you can conserve space and create the impression of a larger area. High gloss furniture reflects light and thus brighten the room. Anytime the surface area is limited, it is reasonable to reconsider your pick of house furniture. Maybe you can change your old sideboard with a white gloss side board which is as eye-catching, but that doesn’t use much space. Try to search for a high gloss furniture supplier which makes their own pieces rather than getting them. This will make rates cheaper. The reason being is that you eliminate the middlemen from the picture. You get your furniture like the white gloss side board you have always been eager to have, straight from the makers themselves. You also get to keep assurance understanding that people managing the shipping are highly-knowledgeable regarding how to manage the items properly while in shipping. Having said that, as you shop for house furniture today, ensure that you visit direct suppliers. Posted on August 26, 2015 by Editor Posted in Home Decor	. There are aplenty of Singaporeans who consider renovation or remodelling every year. When we renovate or remodel, we do not prioritize our bathrooms. We only think of our living spaces like bedrooms, kitchens, study rooms and theatre rooms. That is understandable especially if we have limited resources. The bathroom will have to wait. After renovating the essential spaces, it is time that we give attention to our bathrooms – it is after all a room. We still spend some of our time there. If it needs renovating or remodelling, we should seriously consider it. The good news is that there are many bathroom innovations that will excite Singaporeans. Keep it modern: We have to think that less is more. 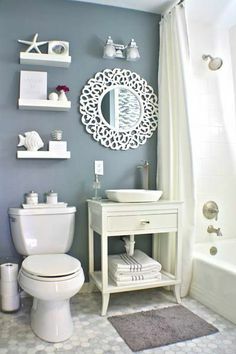 In bathrooms, we do not need the bulky plumbing and space-hogging toilet bowls. We have to keep it modern and that means less. The trick here is to choose things that do not take a lot of space. 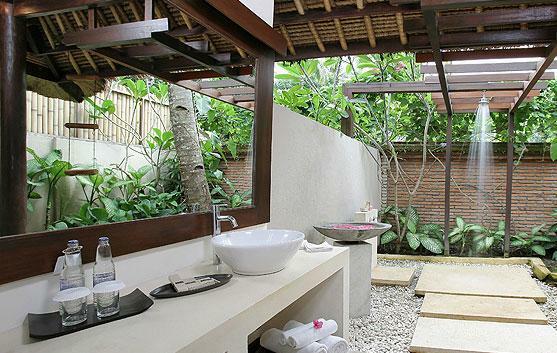 A seamless and sleek bathroom is a pleasant sight we would want to stay there longer. Do not be restricted: Here in Singapore, we are restricted by space or layout. We just take things as it is. We have to think outside the box and not be restricted by space. We have to reposition things like the door, toilet or the flush system. In other words, we have to rethink and re-evaluate the spatial alignment of our bathrooms. Save the curves: The bathroom is a place that we should relax and feel the tranquillity. We can do this by saving the curves. The curves actually make it sexier. Let us do away with rough edges and corners. Let us save the curves. Keep it open: Bathrooms of the future are free and open with clear glass, walls and door less entries. If we want to keep it at a minimum, we have to consider the open shower system. This will free up some space and it will make the bathroom feel larger. We have to invest in our bathrooms especially if we have plans to sell our flats or apartments. If we do not plan to sell our property, we should at least fulfil our dream of upgrading our bathrooms. Yes, we will spend money but it doesn’t have to be that expensive. We can still find classy yet affordable things that can upgrade our bathrooms and make it look like bathrooms we find in boutique hotels. Posted on November 18, 2014 by Editor Posted in Holidays, Home Decor	. Christmas is just around the corner. What are you doing as preparation? The first thing that you should secure is your Christmas decoration so the family can feel the festive season. Christmas decorating is more fun if you engage the whole family. 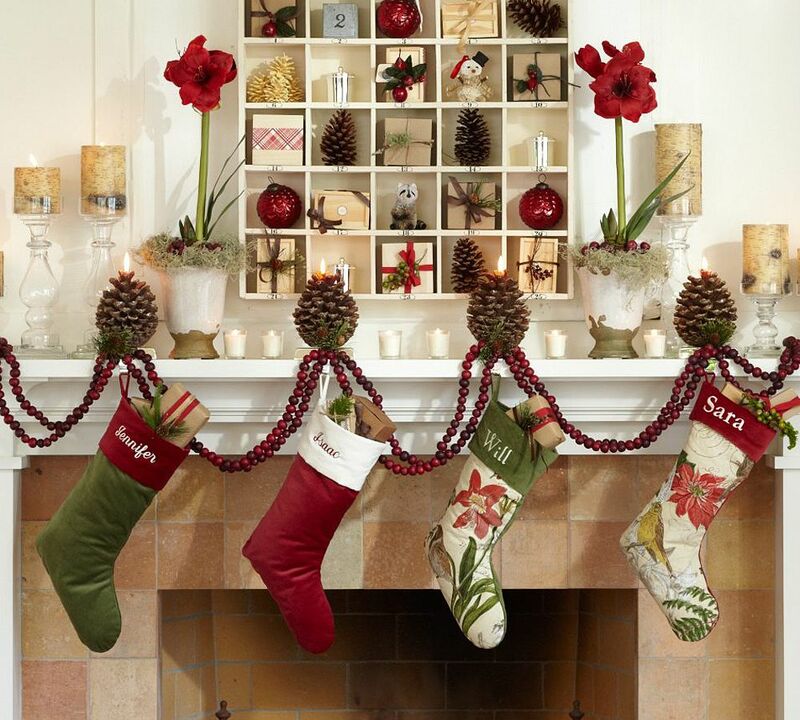 You can make Christmas decorating a family tradition. With that, it is important that you should look for ideas. 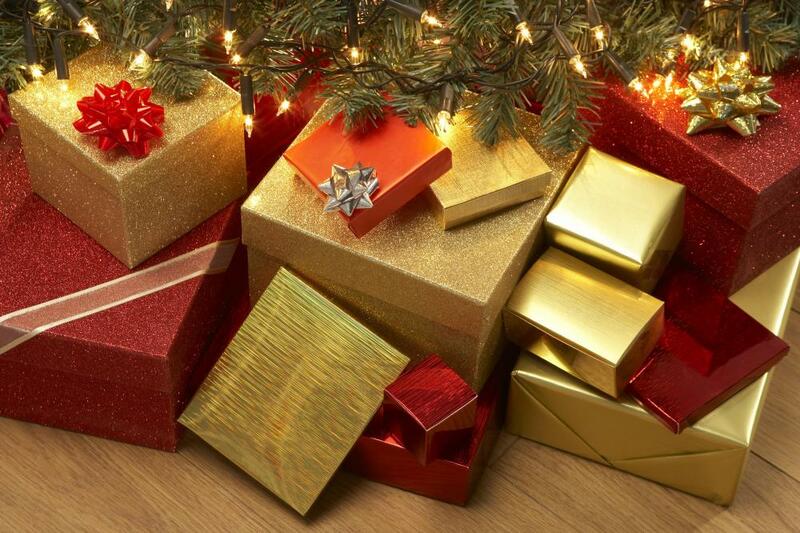 Christmas gifts: Christmas gifts can be your Christmas decoration. This will surely excite your kids. You can make a wish list to begin with. Christmas gifts are find addition to your Christmas tree decoration. 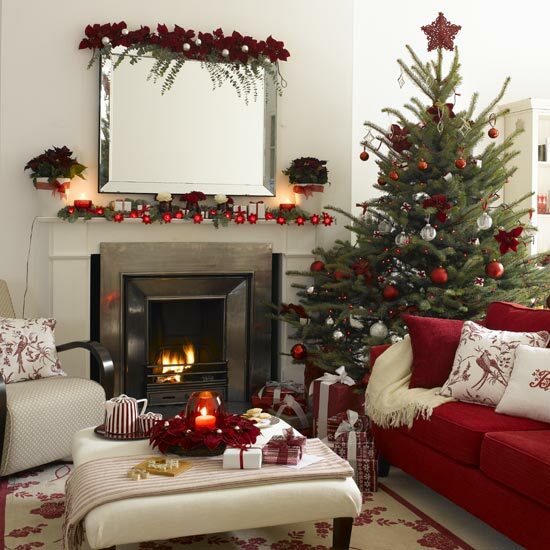 Christmas trees: If you love Christmas trees, there are many themes that you can consider every year. For example, if this year you consider gold or yellow trees, you should look for one right away. After purchasing it, you can consider different decorations that go with it like lights, balls and tinsels. Wreath: If you want to really feel Christmas, you should not forget about your holiday wreath. Your doors will be colourful if you put wreaths. It doesn’t have to be expensive. You can make your own wreath. Other decorations: You can consider other figurines. There are a lot of Santa Claus and angel figurines out there. If you want to look for inspiration, there are many places here in Singapore that you can go to. There’s the Marina Bay Sands and the streets of Orchard Road. Decorations need not be expensive. In fact, you can make your own using cheap materials.